David Bostock LBPPAThis shows the qualification attained by David Bostock within the SWPP and associated societies. David Bostock has an Exhibition here. 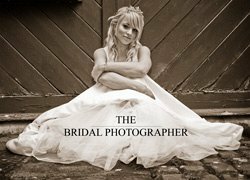 David started taking photographs over 20 years ago and specialises now in beautiful, natural, stylish, reportage wedding photography covering Oxford, Oxfordshire, Berkshire, Buckinghamshire, Surrey and the South East of England. David has also covered destination weddings in European cities such as Prague. David is a member of the professional photographic associations SWPP & BPPA and RPS. 'Dave's photography captured the feel and happiness of our day perfectly. I feel I'm back in the middle of it every time I look at the pictures!' - Kirsty, Buckinghamshire. "He has a wonderful unobtrusive style and captured the most magical moments of our wedding day, I cried when I saw the pictures and can't thank you enough " - Rona & William Glasgow.